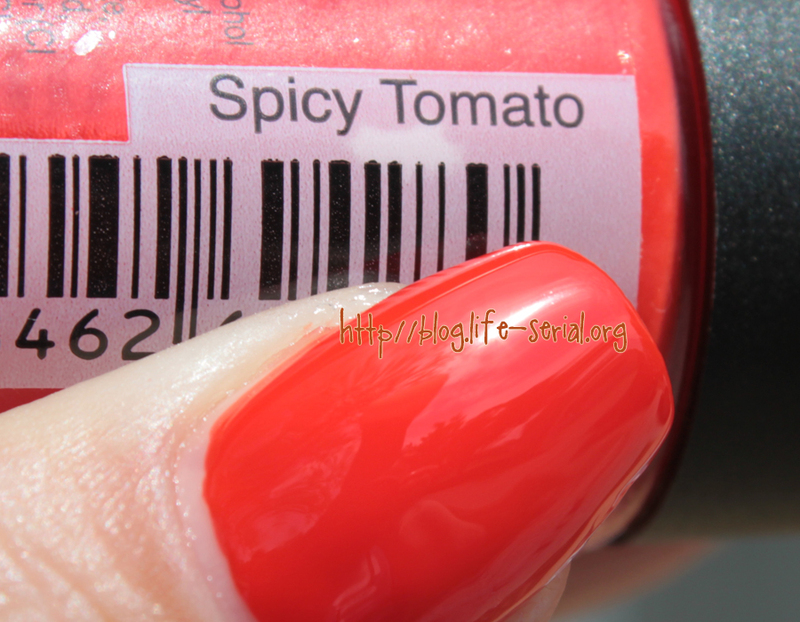 The one with Salon Perfect Spicy Tomato! Dang, I'm tired. I don't think I've slept well for the past two nights. Trying to shake it off! 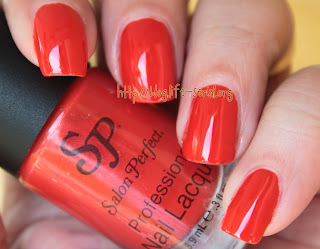 Because today I am bringing you the first Salon Perfect polish - a new-to-me brand! I posted a press release about the Salon Perfect limited edition spring polish collection previously. The one I'm showcasing today is called Spicy Tomato. It's a very bright red-orange which leans heavy toward the red end of the spectrum. Just a beautiful shade, no? 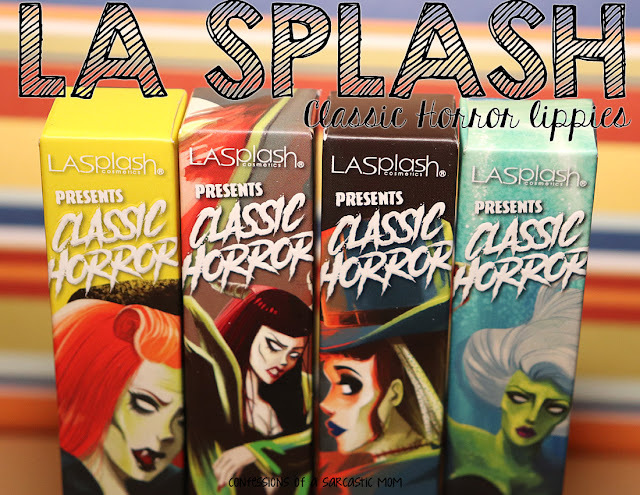 This color is right up my alley! I will definitely be wearing this polish again.